CHARLOTTE, N.C. -- Since the weekend, Duke Energy crews have reduced the number of customer outages caused by Hurricane Matthew from roughly 1.4 million to fewer than 60,000 – a company record pace for restorations in similar storms. According to the National Oceanic and Atmospheric Administration, flood waters in the hardest hit communities might not drop below flood stage for nine days. Power restoration crews will be unable to access electrical lines and equipment until flood waters recede. Those areas include: Clinton, Goldsboro, Kinston and Lumberton in North Carolina; and Florence, Hartsville and Marion in South Carolina. 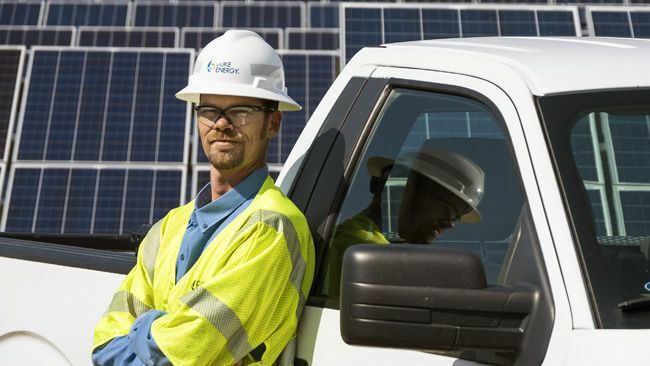 "We share our customers' frustration and are grateful for their understanding," said Bobby Simpson, who is overseeing Duke Energy's restoration efforts. "We have the personnel, equipment and desire to bring everyone back on, but the hard reality is there are still areas that are literally under water. Water and electricity simply don't mix." Simpson noted reports that some customers have tried to reconnect their own power, and he strongly urged against it. "Please do not let this deadly storm take any more lives," he said. "The minute the water recedes, and it's safe for us to physically access those areas with our equipment, we'll be there." At its peak, 680,000 Duke Energy customers were without power Sunday morning, Oct. 9. In terms of outages, Hurricane Matthew is the fifth-worst storm to hit the combined Duke Energy Carolinas/Duke Energy Progress service area – with damage similar in scale and severity to past storms such as Hurricane Floyd in 1999 and Hurricane Hugo in 1989. Customers whose homes have damaged meter boxes will need to get them repaired and inspected to avoid delays in restoration. Here's a video explaining meter-box damage. If a customer's meter box is pulled away from the house, and the house is without power, the homeowner is responsible for contacting an electrician for a permanent fix. 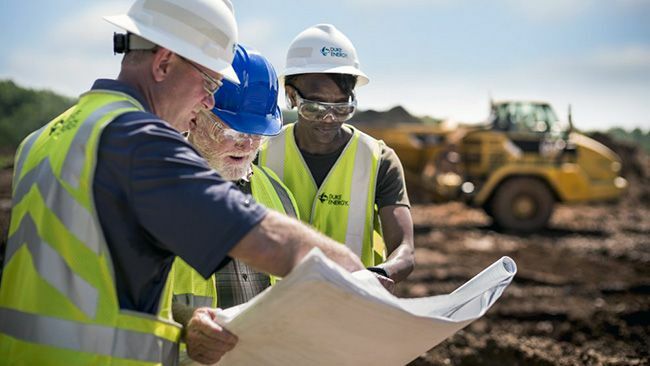 An electrical inspection may be required before Duke Energy can reconnect service. Power lines can be hidden by debris and standing water so please be extremely careful moving around in damaged or flooded areas. Ash basin dams at the company's Carolinas' facilities are operating safely and have not been affected by historic floods brought by Hurricane Matthew. Flooding continues to subside near the retired Weatherspoon Plant in Lumberton, N.C. We expect to complete minor maintenance on the cooling pond dam following this high water event. 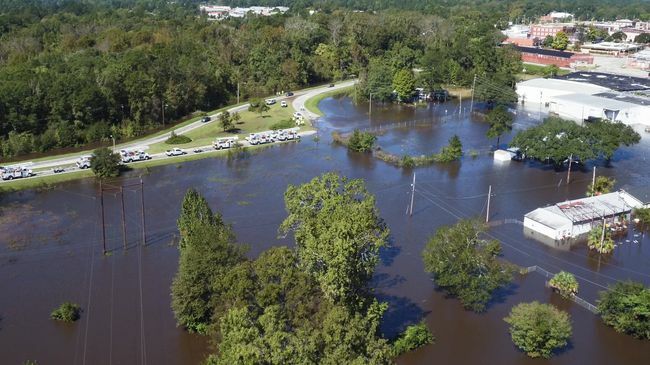 The Neuse River near the H.F. Lee Plant in Goldsboro, N.C., reached its record level at the plant yesterday morning, and is declining. A break in the cooling pond dam wall that occurred mid-day yesterday continues to release water from the cooling pond to the river. The event has caused very minimal impact to the already flooded river level. Engineers are finalizing a repair plan, and the company is positioning materials on plant property so crews can safely proceed with work once flooding subsides. The company is monitoring conditions, and state regulators continue to support operations at both plants. A diagram and photos are available here.